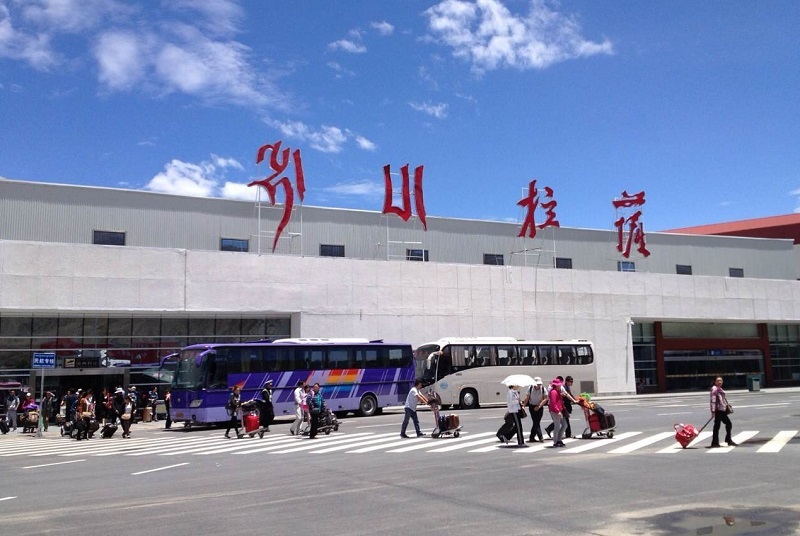 With an area of 25000 square meters, Lhasa Airport transfers numerous travelers from all over the world. The facility of this airport is modern and multiple. There are two floors in total. The first floor is equipped with the ticketing office, the baggage collection beltways, and the visitors' gallery. The second floor is equipped with shopping malls, kiosks, and restaurants. Generally speaking, travelers travel to Tibet by air from the mainlands of China or Nepal side. And there are many daily flights flying from some major Chinese cities such as Beijing, Shanghai, Guangzhou, Chengdu, Chongqing, Xi’an, Kunming, etc or Kathmandu. In China, there are two flights operated by Air China flying from Beijing to Lhasa, and the duration time is about 4h 30m. There is only one flight operated by China Eastern Airlines flying from Shanghai to Lhasa, and the duration time is about 7h 55m. There is only one flight operated by China Southern Airlines flying from Guangzhou to Lhasa, and the duration time is about 5h 55m. There are fourteen flights operated by Tibet Airlines, Sichuan Airlines, Air China, China Eastern Airlines flying from Chengdu to Lhasa, and the duration time is about 2h 15m. There are nine flights operated by Tibet Airlines, Sichuan Airlines, China Southern Airlines, Air China, West Air flying from Chongqing to Lhasa, and the duration time is about 2h 40m. There are eight flights operated by Tibet Airlines, Sichuan Airlines, China Eastern Airlines flying from Xi’an to Lhasa, and the duration time is about 3h 5m. There are five flights operated by Tibet Airlines, Sichuan Airlines, China Eastern Airlines flying from Kunming to Lhasa, and the duration time is about 2h 50m. There are 2 flights operated by Tibet Airlines, China Eastern Airlines flying from Shangri-La to Lhasa, and the duration time is about 2h 05m. There is only one flight operated by Tibet Airlines flying from Nanjing to Lhasa, and the duration time is about 5h 45m. In Nepal, there is only one daily flight operated by Sichuan Airlines, Air China flying from Kathmandu to Lhasa, and the duration time is about 1h 25m.